There is no question that technology is changing the world we live in, outpacing expectations of change and having a profound and tangible impact on our lives. We are experiencing more automation, enhanced learning, deeper connectivity and integration across devices and worlds—the outcome of the technology at our disposal, combined with engineers pushing the boundaries of products and seeking to change the world we live in. It’s easy to assume that the origin of the tech change agents we now see changing our lives so rapidly can be found in the sunny hills of Silicon Valley. But, the truth is far more fascinating. The epicenter of innovation was originally New York’s Silicon Alley. Half a century ago, New York City was considered the tech capital of the U.S. and the world. The same excitement and energy we now feel about nanobots and self-driving cars was evident at the 1964 World’s Fair in NYC when IBM showcased the first computer and the first transatlantic call was made. Before that, there had only been typewriters and letters. With the cross section of multinational immigrants, bootstrapped solutions and true grit mixed with the diversified environment of arts, theater, finance and universities, NYC seemed to have a certain magic that helped create an innovation incubator unlike any other place. Fifty-four years later, there’s nothing quiet about Silicon Valley’s impact on the tech space. The world’s largest and most successful companies to ever enter the tech arena were not born out of The Big Apple, but instead followed the legacy of the traitorous eight in Silicon Valley. While NYC may not be the technology hotbed it once was, today, there is metamorphosis occurring. The NYC tech community is fueling future start-ups by driving innovation and technology, attracting talent and funding more local tech companies. All of these factors play an important role in the transformation of the NYC tech scene and must remain a focus if NYC wishes to continue down its current path. NYC has invested a serious amount of capital and planning to make tech talent jazzed about where they work, and their surroundings. Hudson yards, the city’s largest expansion since Rockefeller Center will likely become a vibrant hub for tech startups and many large players are also taking advantage of the innovation this will bring their companies. The city also supplanted older technologies like pay phones with free wifi. According to Anthology, NYC is among the top places engineers want to live and with Mayor de Blasio’s focus on expanding the city’s tech sector we have seen the creation of 37,000 new professional services and tech sector jobs, with a goal to create 10,000 more. NYC’s focus on creating more tech talent is palpable. The Cornell Tech Campus opening in 2017 will bring a local tech university to the city’s doors. Let’s face it – smart people want to work with smart people. The more NYC does to hire the brightest and grow the brightest, the more of a tech magnet it will become. Along with that are a multitude of coding camps designed to democratize tech opportunities across all cultures and backgrounds. When it comes to diversity, this is one of the biggest movers in converting the white bro team into one the represents our real culture across genders, sexual orientations, ethnicities, and age. The impact on organizations that adopt this type of diversity approach is vast and I’m thrilled to see more NYC organizations make diversity a primary goal – which has proven its case in profit equations time and again. The bottom line: nothing inspires innovation more than having a great team that fosters positive human interactions and respect – nothing, absolutely nothing. Looking back 20 years ago at the tech scene in NYC, you would have been surprised to see only a few CTO’s and their small teams running all of NYC tech. The macro environment in NYC was harder due to long term rents, lack of investors and lack of talent. For a company deciding on where to start their venture today, the game has evened out significantly. Looking at costs as a stand alone factor, NYC is fairing much better now than San Francisco. Rising office costs and wage expectations in the valley have outpaced what NYC has deemed reasonable to support. This does not mean that a developer in NYC has to expect less, but it does mean that in the aggregate a bottom line decision about where to start your company may end up being answered with NYC. Start-ups including Etsy, Foursquare, and WeWork line the winners corner of tech startups in NYC that could and did succeed. They may not be large unicorns, but Etsy’s ability to raise over $1 billion during its 2014 IPO is nothing to laugh at. NYC saw $690 million in venture capital funding flow into the city during the first quarter of 2016 compared to only $511 million into Silicon Valley, according to Accenture. This is particularly impressive considering the NYC tech scene, overall, is only about a third of the size of Silicon Valley. That said, NYC tech scene is not going to outpace the valley’s tech footprint anytime soon. There are also a number of well performing tech companies in the oven, steadily baking and poised for exit in the next 3-5 years. Their presence, combined with local venture capital funding to well-known local businesses and the decision to take a pragmatic approach to exiting businesses, creates the efficient frontier we are seeing replay in a number of NYC-based startups. 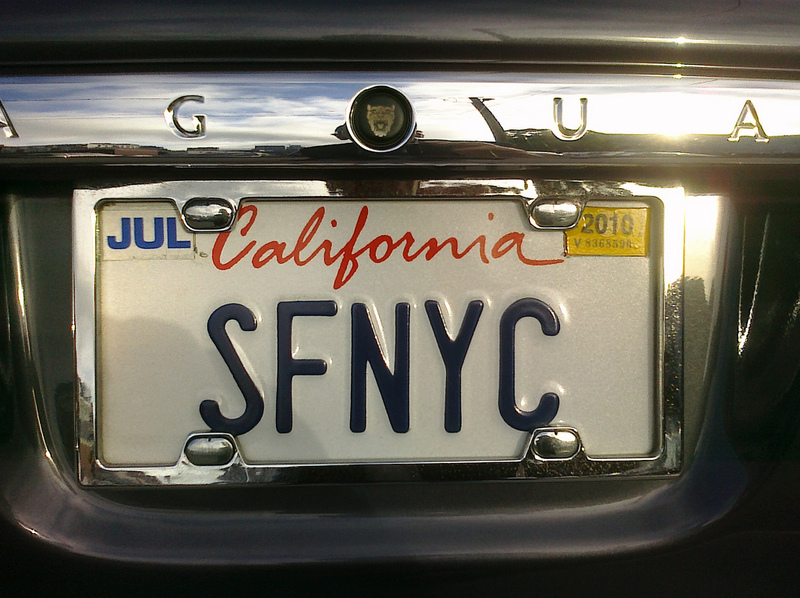 NYC and SF will always be polar opposites in some ways. There is no competing with the summer sun of the west coast or of the arts and financial background in NYC. Startups starting today don’t have the singular aperture when thinking about where they can start and thrive. From all outward appearances, the landscape of the future will continue to be a dual coast event. While NYC began the tech explosion over 50 years ago, we see hints of it reclaiming some of that earlier prowess. The Valley has changed our world with a technology revolution that is now part of our lives. NYC, for its part seems be running with the tech revolution in its own way. If history is any evidence of the future, we know the race is never really over!